1989 June 28: EEC Madrid Conference issued a new declaration calling for the PLO to be involved in any peace negotiations. August 3: Fateh, the mainstream PLO organisation, at their 5th Conference endorsed the PLO strategy adopted at the PNC in Algiers in November 1988. 1990 May 20: Seven Palestinian workers from Gaza were massacred by an Israeli gunman near Tel Aviv. Yasser Arafat addressed the UN Security Council In Geneva after the massacre in which he called for the deployment of a UN emergency force to provide international protection for the Palestinian people to safeguard their lives, properties and holy places. The US vetoed a motion which called for the Security Council to send a fact finding mission to the area. At the end of their hunger strike, Palestinian leaders in the Occupied Territories decided to boycott the US. The Arab Summit in Baghdad pledged support fort he Palestinian Intifada and strongly denounced the settlement of Soviet Jews with in the Occupied Territories. June 20: The US suspended its dialogue with the PLO after the PLO refused to denounce a military operation in the sea by the PLF. June 26: The EEC in Dublin issued a new declaration on the Middle East which condemned Israeli human rights violations and the settlement of Soviet Jews in the Occupied Territories. It also doubled its economic aid programme to the Occupied Territories. August 2: The Gulf Crisis erupted. December 20: UN Security Council adopted Resolution 681. 1991 January 16: War in the Gulf started. February 17: Cease fire agreed in War in the Gulf. - 23 September: The PNC met in Algiers and paved the way for the Palestinian delegation to participate in the Middle East Peace Conference. October 30: The Middle East Peace Conference convened in Madrid. December 3: The bi-lateral talks between Israel and the Palestinians, Syrians, Jordanians and Lebanese started in Washinqton. 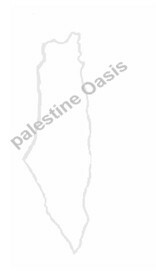 (C)Copyright 1999 Palestine Oasis. All rights reserved.